This high quality Bullet performance jersey, features the BULLET Logo across the front and is available in a variety of colors. Chose size and color options from the menu below. 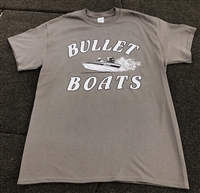 This Shirt features the Bullet Logo on the front and a Classic Bullet "X" series boat running on the back. Long sleeve screen print jersey. 100% polyester cool knit. Features Bullet logo on front with large logo and picture graphic on the back. Long sleeve screen print jersey. 100% polyester cool knit. 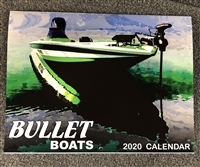 Features Bullet logo on front with large logo graphic on the back and "Total Performance Boats" on the sleeve. Available in White with Blue, Red or Black Lettering. This very stylish Performance style collared polo shirt is made completely of moisture wicking material. It features a tri-color design and is sure to keep you comfortable and dry.